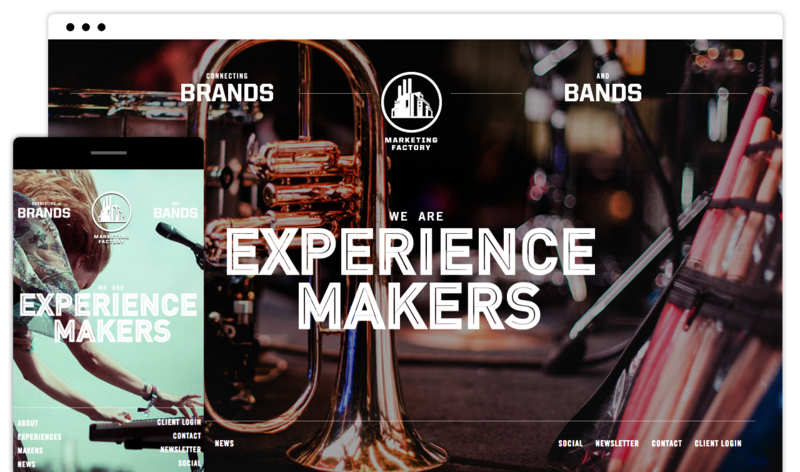 We are an award-winning agency at the intersection of music, brands, experiences and the digital space. We help brands create strategic partnerships. Our campaigns leverage the power of music and develop long-lasting relationships with music enthusiasts. Music is a powerful emotional driver. We help brands leverage that emotion to reach music enthusiasts and make them core users of their products and services. As entertainment industry insiders, producers, seasoned marketers and music lovers, our clients benefit from access to unlimited artists, performers and media communities. Marketing Factory is neutral with no pre-set allegiances, allowing freedom to approach anyone for any given project.